In a bid to accelerate their digital transformation and adoption of new-age banking practices, public sector banks (PSBs) like SBI, Bank of Baroda, Canara Bank and Syndicate Bank are reportedly in the process of recruiting as many as one lakh people in this financial year. In fact, the PSBs have more than doubled their hiring plans, The Economic Times reported. "State-owned banks are turning competitive after battling mammoth bad assets," Sabyasachi Chakraverty, business head - banking & financial services at recruitment firm TeamLease, told the daily, adding that the hiring outlook for the government lenders is also brightening. As per the firm's estimates, barring lateral hires, these banks collectively hired 95,000 personnel in the past two years at positions like the clerk, management trainees and probationary officers. But the PSBs are now tapping talents across the hierarchy with specialised functions such as wealth management, analytics, strategy, digital and customer services. What's more these lenders now have fewer clerks - around 20% of their total employees fall in this category, barring SBI, where 45% of employees are clerks than officers. "The need is to change the culture of PSUs to drive business, and this has been seen in their hiring patterns. They are now focusing on hiring talent in line with the new age as well as private/multinational lenders. This, in turn, should yield results over a period of time," explained Chakraverty. 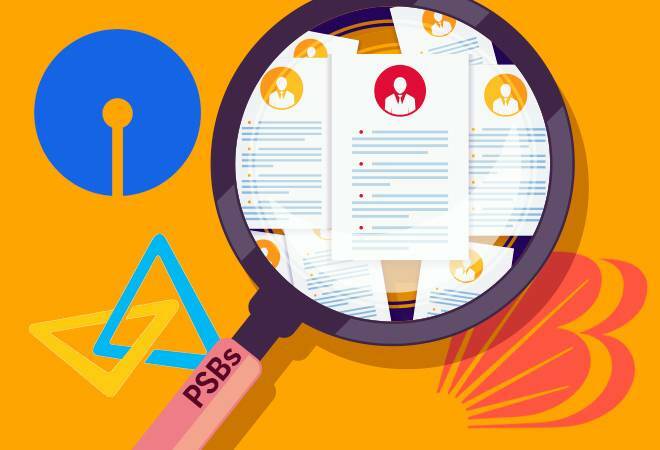 The daily added that given the increasing complexities in the sector, the PSBs are even hiring talent from private players - where employees are given targets to grow the banks. And this development has spawned designations such as chief ethics officer, chief marketing officer, chief investment officer, chief learning officer, head of analytics and digital marketing campaigner, all boasting salary levels as high as Rs 50 lakh a year. Consider Syndicate Bank, which is reportedly recruiting 500 people this financial year. "We need new type of manpower as they will be put in new areas like digital marketing and stressed asset recovery. Remunerations are also attractive at the first three entry levels compared to foreign and private lenders," Mrutyunjay Mahapatra, CEO, Syndicate Bank, told the daily. He added that while specific niche, strategy-based hiring is on the rise, the average age of employees is falling - from 46.5 years two to three years ago the average age at the bank has come down to 37 years. Similarly, the Bank of Baroda plans to hire 500 people to strengthen their portfolio management services or wealth management, divisions. The buzz is that legal professionals are also in demand as it focusses on efforts to recover bad loans. But, according to TeamLease, the PSB recruitment drive is being spearheaded by the country's largest lender, SBI. Besides fresh hiring, the bank is also looking to appoint 5,000 people through lateral hires in preparation for the potential business expansion on the cards over the coming quarters.